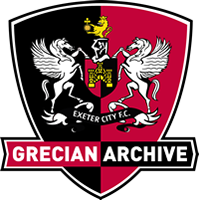 Jones was a guest player for Exeter City in 1945-46 making two appearances. His debut was in a 2-3 defeat at Brighton and Hove Albion in a Division Three South (South of the Thames) fixture, and he scored one of the City goals. Jones played for Kidderminster Harriers, Wolverhampton Wanderers, Portsmouth, Stoke City and West Bromwich Albion. 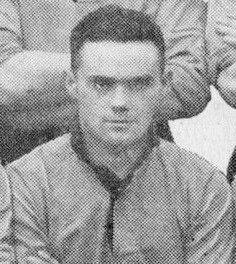 During the war he guested for Portsmouth, Chelsea, Watford, Southend United, Tottenham Hotspur, Arsenal, Queens Park Rangers, Crystal Palace, Northampton Town, Fulham and Exeter City. After the war he continued his career with Brentford and then Crewe Alexandra. Jones managed Swiss side BSC Young Boys, leading the club to a seventh-place finish in the Nationalliga A in 1950–51. After this he took charge at Belgian club Beerschot and later at Dutch Tweede Divisie club De Graafschap. He was appointed Port Vale's trainer-coach in June 1962. He left soon after citing "domestic reasons". Eric died on the 2nd October 1985.